"You can't top pigs with with pigs." That was Walt Disney's not-so-subtle dig at a proposed sequel to his celebrated Three Little Pigs cartoon film. The insight is used by authors Howard Smith and Peter Fingar, in Business Process Management: The Third Wave, to explain how success cannot be mindlessly repeated. "Stacking a thousand doghouses one atop the other to build a skyscraper is a great proposition for doghouse vendors, but not for future occupants. Skyscrapers need an architecture of their own - their own paradigm, not a sequel to the doghouse paradigm." Creating a new architecture is a challenge faced not just by enterprises, but also by business schools or B-schools. The premise on which their teaching methods are built needs to change as businesses, too, change in keeping with the demand and economic dictates of the times. And with them, Business Today also changes its approach to analysing and ranking the B-schools. The first B-school survey we published in 1998 combined the scores of a factual survey (data from B-schools) and a perception survey (opinions of key stakeholders). From 2003 to 2011, however, we carried out purely a perception survey, to bring to discerning readers a list of schools that are perceived to be the best and, thus, aspirational for the potential B-school student. This year, again, we have ruthlessly questioned and overhauled our rankings process. We have gone back to a combination of a factual and a perception survey, but on a much bigger scale - many more schools, and many more parameters of measurement. This year, dear students, aspirants, parents, recruiters, campus directors, teachers, you will be compelled to scratch beneath the surface. Even as you run your eyes over the BT-Nielsen Best B-schools rankings and the reports in this package, do also visit our website for much, much more data on all the 205 B-schools ranked this year. The big question, of course, is: why did we need a new approach when we already had a proven, successful methodology? Less-known B-schools getting high scores from a few respondents can cause mayhem in the rankings. How we addressed this issue. It could be argued that if a B-school is little known, it is not its fault. We see it differently. It is not enough to be good, an institute should also be known to be good, particularly by students and recruiters, not just in and around the spot where it is located, but well beyond. Only then is it a national brand. Again, it may seem that if few people know about a B-school, its perception score would be low. But what if the few people who do know about a school rate it genuinely high? Such scores skew survey results. This sometimes results in little-known or low-calibre B-schools shooting up the rankings. When a school is widely known and ideally rated by many, opinions are likely to differ widely and their perception scores tend to gravitate towards a mean. "Awareness" is an intangible and difficult factor to handle, especially in a perception survey of more than 200 B-schools. To address this problem and create a level-playing field, we introduced an "awareness deflator" in the perception survey. This is how it worked: the 205 B-schools were divided into ten "panels". Each panel with an average of 20 B-schools had 120 respondents, which we call the "base", all of whom naturally rated the schools they were aware of. B-schools rated by 40 or more respondents (one third of the sample) were assigned a weight of 1, so their perception scores were multiplied by 1. B-schools rated by 30 to 39 respondents were given a weight of 0.9, so their perception scores were multiplied by 0.9, deflating their total score by a small margin. For 20 to 29 respondents, the weight was 0.8; and for B-schools that were rated by fewer than 20 respondents, the weight was 0.7. This innovative approach helped us address the awareness issue. First, some history. In 1998, when we did our first B-school survey, there were a mere 422 B-schools approved by higher and technical education regulator, All India Council for Technical Education (AICTE ). However, even that seemed too many then. "We are very concerned about the state of management education in the country today. Many are in it only for the money," was a statement made by D.N. Khurana, the then director general of All India Management Association. Today, the picture is downright bizarre. 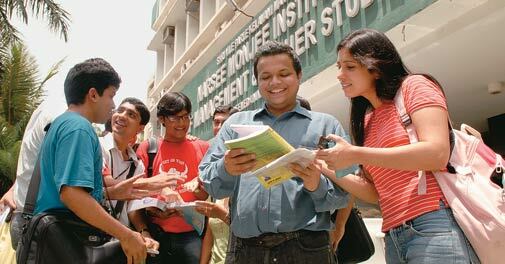 There are around 4,000 B-Schools across the country approved by AICTE. And so, in August last year, when Business Today and Nielsen sat down to brainstorm on the 2012 edition of the Best B-schools survey - yes, it has taken more than a year of effort to bring out what you are holding in your hands - it became clear to us that with the changing times, our approach had to change too. For the past few years, Business Today has been ranking the top 30 to 50 institutes, which we realised was not enough. There were many more schools around with proven calibre that would get left out. As the market leader, it was Business Today's responsibility to take the lead in adapting to the change happening around us and, indeed, in shaping things for the future. We needed to develop a methodology the country needed - indeed, deserved - that would take many more B-schools into account, while also ensuring all facets were covered. Both factual and perception surveys - by themselves - have their positives and their flaws. A factual survey brings in ground-level, granular data that only B-schools themselves can provide. Unfortunately, that strength is also its flaw. An institute may have excellent teaching infrastructure, but that does not necessarily guaranteesuccess. Opinions of the outside world matter and positioning is key. A perception survey brings in these opinions - of recruiters, students, teachers, and others. But it does not take into account on-ground data - facilities, course fees, placements, research papers, internships, among other factors. So, a genuine and drastic improvement in a midrung school's performance, or the entry of a high-quality new school, is often not captured here, because perceptions take time to change. In an ideal situation, a combination of a factual survey and a perception survey should do the trick, especially if the parameters are carefully chosen and assigned weights. Led by Soumya Mohanty and Priya Panwar, Nielsen's team carried out two surveys starting February 2011 - a factual survey first, followed by a perception survey. The questionnaires of both the surveys were based on identical parameters. We decided to measure Learning Experience (with a weightage of 30 per cent), Living Experience (15 per cent), Return on Investment (25 per cent), Brand Value (20 per cent), and Future Orientation (10 per cent). Each of these primary parameters, or what we call "domains", have multiple sub-parameters, or sub-domains (see Two Surveys, One Ranking: How We Did It for details), which also have weightages. For the factual survey, questionnaires were sent to 1,832 B-schools, accredited and non-accredited, across the country - reaching out to 45 per cent of all B-schools in India. In all, 205 institutes responded with data and supporting documents. For the perception survey of these institutes, a separate questionnaire was administered to a group of 1,200 stakeholders, including teachers, students, young executives and recruiters. To avoid any regional bias creeping in, the respondents were chosen from 13 cities across the country. Their responses were scored according to assigned weightages. Before we combined the factual and perception scores, we had to address the problem of how to factor in low awareness in the scores of the not-so-well known colleges. For this, we introduced the awareness deflator, wherein the perception scores of colleges that are rated by just a few respondents get adjusted by an assigned weight. This is done to ensure that colleges that few people recognise but give high scores to do not get an undeserved high ranking. Finally, the factual survey scores were added to the "awareness-adjusted" perception scores in 50:50 weightage, to get the overall scores for ranking purposes. This year, we also bring to you a ranking of emerging B-schools. The downside to this new approach, of course, is that the ranks are not strictly comparable with those of last year. Another important point to note is that only those B-schools that participated in the survey were ranked. A few high profile B-schools opted not to participate, and so could not be ranked. One glaring example was IIM Lucknow. The overhaul of the methodology revealed several facets that are of immense value to all those involved and interested in business education. First, the insights provided by the awareness deflator. While this tool did manage to level the scores of lesser known institutes, it also hit hard some good B-schools that were not known to too many respondents. Two of them worth naming are Chennai's Great Lakes Institute of Management and KJ Somaiya Institute of Management Studies and Research, Mumbai. Great Lakes, a respected B-school, was rated only by 28 of 120 respondents, pulling its perception score down, and resulting in its rank falling to 108. By factual ranking alone, it was at No. 37. KJ Somaiya, a high-grade institute started in 1981 ranked a very impressive No. 3 in our factual survey, but with only 37 respondents rating it in the perception survey, its overall rank plummeted to No. 40. Unfair? Possibly, but both Great Lakes and KJ Somaiya have some thinking to do on increasing awareness among stakeholders. And who benefited from the awareness deflator? Top of the list is MDI, Gurgaon, which ranked No. 27 in the factual survey, but with 44 respondents rating it in the perception survey, it just about escaped being 'deflated'. Subsequently, a high score and a fourth rank in the perception survey saw MDI end at No. 8 in the overall ranking. It is also interesting that young executives ranked MDI at the top in the perception survey. What is crucial is that despite the inevitable vicissitudes of having been in existence for over five decades, IIM Ahmedabad has emerged as India's No. 1 B-school. Importantly, though, IIM-A did not top the factual survey, where it was ranked fifth. But its top score in the perception survey helped it make up the difference and regain the overall top slot from last year's winner, IIM Bangalore, which ended up fifth. IIM Bangalore's predicament is partly because its factual score - and rank - took a big hit when it refused to submit placement data. It lost marks and its factual rank fell to 19. 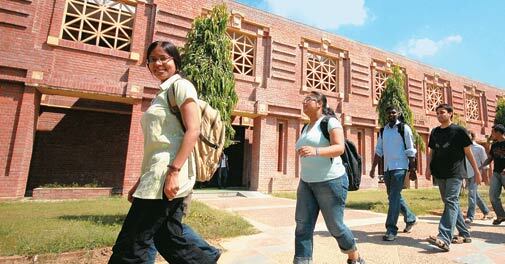 Despite ranking second in the perception survey, IIM-B finished fifth. Happily for IIM-B, recruiters and functional heads have ranked it tops both this year and last year. It is a trend IIM-A will do well to note. The factual survey saw Faculty of Management Studies, Delhi (FMSDelhi), emerging on top, with DMSIIT Roorkee, at second spot. One reason is the 25 per cent weightage given to return on investment in our ranking methodology. FMS charges less than Rs 11,000 annually for its course, compared to an average of Rs 14-15 lakh by the top IIMs. But FMS's students get salaries comparable to IIM students, pushing its ranking up significantly. Campuses and students now need to go through our data and soulsearch on what they should do to get better. For example, IIM-A ranks high on brand value and future orientation, but it is not the best on learning experience, where Mumbai's Narsee Monjee Institute of Management Studies reigns at the top followed by XLRI, Jamshedpur. 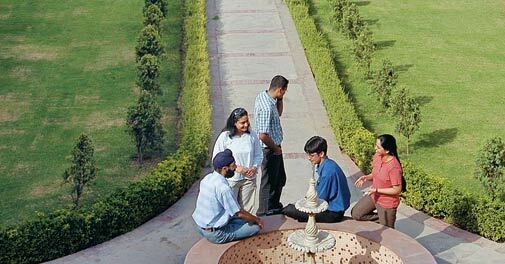 Living experience is far superior at IIM-B followed by Shailesh J. Mehta School of Management (IIT Bombay). Beyond the rankings, B-schools, including the very best ones, are struggling with a host of issues. In our first B-school survey in 1998, Mahendra Swaroop, then executive director of PepsiCo India, had said: "Students with merely excellent academic track records make only excellent management trainees… IIM-A is producing managers today whereas it needs to produce leaders for tomorrow." Even today, industry stalwarts feel IIM-A could do much better. "IIM-A should focus on research in innovation and transformation," says K.V. Kamath, Non-executive Chairman, ICICI Bank, and Chairman, Infosys, an alumnus of IIM-A's 1971 batch. "For example, the information and communications technology revolution has fundamentally changed the economy and society. The lessons and implications of this, and the opportunities it creates for the future, should be a key area of research at IIM-A." The proliferation of B-schools has also resulted in an overall deterioration in the quality of teaching and students. On the admissions front, applicants for Common Admission Test, or CAT - the premier examination for admission to B-schools - appear to have increased only marginally from 2.04 lakh in 2010 to 2.14 lakh this year. "The scenario shows a decline if you consider the last six years; there were up to 2.7 lakh CAT applicants in 2007," says Ulhas Vairagkar, Director, T.I.M.E Institute, an MBA-preparation school. Placements have got tougher and tougher. Even the better B-schools are seen struggling to place all students. "Either students do not like the offers made as they have their own ambitions and notions of what job profiles they should get, given the investment made, or they just do not make the cut," says a top B-school insider. Urban legends keep the notion of the charmed 'Rs 1-crore-bracket', as starting annual salary, alive, which only feeds the high expectations of students. "Recruitment reports are highly inaccurate and this is why we are working to strengthen the Indian Placement Reporting Standards with at least 27 institutes to come out with audited results," says Prof. Saral Mukherjee, former Chairperson, Placement Committee, IIM-A. 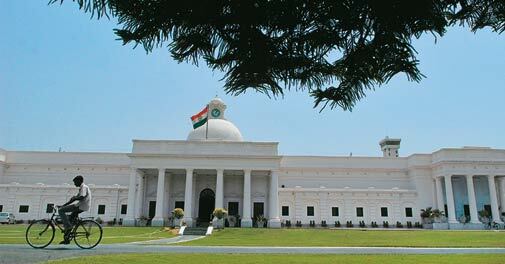 In a bid to push quality education, IIMs have come up in new locations such as Udaipur, Kashipur and Raipur, among others, taking the number up to 13. But both industry and colleges routinely complain about the challenges in attracting good faculty and recruiters in these far-flung locations. "For us, the biggest problem in attracting faculty, is our location," says Samir Barua, Director, IIM-A. He rues the fact that Ahmedabad, even today, does not offer enough career opportunities. B-Schools are just not waking up to the lack of diversity on their campuses, be it the paucity of women, the nature of the curriculum or even of teaching methods. But more painfully, woeful lack of research has plagued our education system as a whole, and B-schools are no different. Kamath's observation on IIM-A's research needs is equally applicable to other leading B-schools. The good news is that some institutes such as Indian School of Business, Hyderabad, and IIM Calcutta are taking steps towards changing this. A perception survey which asked questions on credentials of promoters, quality of faculty and growth potential unearthed fi ve little-known gems. Top of the list was Loyola Institute of Business Administration, Chennai. The convocations at Loyola Institute of Business Administration (LIBA), Chennai, have a feature rarely seen elsewhere - all those graduating take an oath to follow high ethical standards in their professional lives. The inspiration came from Harvard Business School which started the management equivalent of the Hippocratic oath after the 2008 financial crisis. "At LIBA we strive to give value education, and ethics forms a critical element in it," says Father Peter Xavier, its Director. The B-school inculcates ethics in other ways too - it is taught as a core subject through case studies, and every year, a business ethics conference called Beacon is held on the campus where industry experts participate. 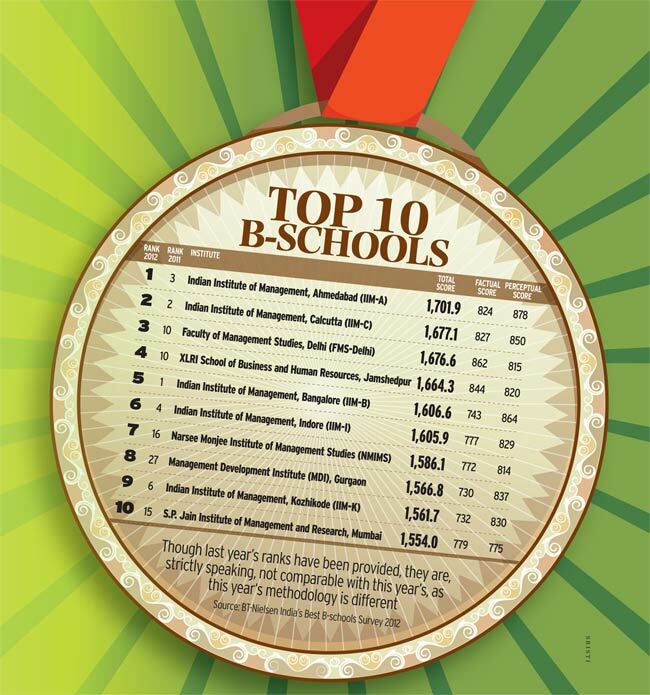 LIBA emerged tops in our 'Emerging B-schools' survey, even while it ranked No. 27 in the main survey. "We build management excellence among students through our multi-disciplinary approach," says Susan Thomas, Associate Professor HR and Chairperson for Placements and Public Relations. "All are tested on the multi-disciplinary approach to solving problems." Most LIBA students opt for dual specialisation. It is this combination of ethics and multi-disciplinary education that make LIBA stand out, says Xavier. 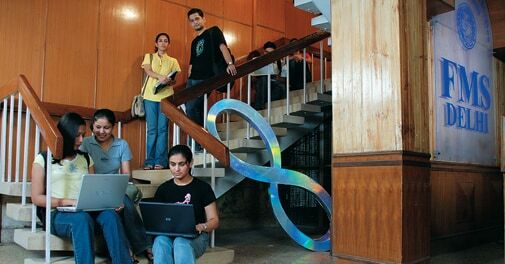 The school has had 100 per cent placements ever since it began its full time management programme in 1995. It admits just 120 students a year for the full time programme and has a faculty strength of 21, "We have another USP. LIBA offers one of the lowest cost quality management education programmes in the country. Our two year course costs just `6 lakh," says Thomas. India has been slow in attracting variety in its faculty as well. Rare is a Tarun Pasricha who has opted to teach after 25 years of corporate life, taking up full-time teaching at Goa Institute of Management. "I am trying to bring my own experience of what it was I wanted from management trainees into my teaching and equip my students with knowledge they can use. I train them accordingly An IIM-B graduate, who spent a career in consumer goods companies such as ITC, Pepsico India and last headed Boots Healthcare International as Managing Director of its Indian joint venture, Pasricha thinks his is the kind of profile that B-school faculty should have, rather than the PhDs which many schools insist upon. However, a few educators from overseas are slowly beginning to trickle into India. Again, emboldened by the strength of their brands, some B-schools are actually tasting qualified success with campuses they have set up abroad. As for curriculum and development programmes, the B-Schools are beginning to push the envelope. Latha Narasimhamurthy, 34, a Bangalore City Corporation member, has just completed a 10-week programme in 'India-Women in Leadership' (i-WIL) at IIM-B. She paid Rs 4.75 lakh for it, which included study tours to Delhi and Singapore. "We were taught the essence of everything from managing elections to politics to economics and policymaking," says the first time corporator who wished the course were longer. The programme is aimed at women in politics, social activists, and others who have a keen interest in politics. "We had 20 women from seven political parties, including Congress, BJP, NCP, etc," says Prof. M.V. Rajeev Gowda, Chairperson, Centre for Public Policy, IIM-B, who designed the programme in collaboration with Centre for Social Research, Delhi. He says he has been encouraged by the response, and extends scholarships to those who cannot afford the full fee. "We hope to do the next round in January," says Gowda. There are bigger things happening, too, beyond dark suits and sixfigure salaries. Business, after all, is also for those who run small initiatives that sustain their lives on a daily basis. Here Mann Deshi Udyogini leads the way, involving marginalised women. Overall, the 2012 edition of the BT-Nielsen Best B-schools survey has striven to set new standards for ranking business schools and spotting what is happening, and what is changing, on the ground. The survey itself was a ground-breaking exercise. The results were subject to intense scrutiny by both Business Today and Nielsen, and there were multiple iterations to ensure we got everything right. We caught and rectified many small errors, and we hope you, the reader, will be happy with the outcome. More importantly, we want feedback from you on how to improve our methodology for next year.